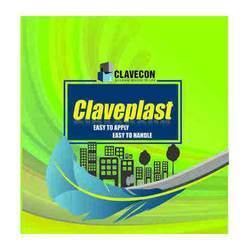 We gained wide acceptance for being the reliable entity involved in manufacturing and supplying finest grade Claveplast. We have developed an innovative and time saving plaster product that is an outcome of new trends and technology. The offered product is developed using finest grade raw materials under strict quality supervision and packed in ready to use bags. Further, our prestigious clients can avail this easy to apply and easy to handle plaster from us at an equitable price range.